L’Étrange Festival has never set trends. It always went around them. Its motto is to go against the odds. And this is the reason why it’s still an honor and a pride to provide you with enchantment and emotion. Mixing ideas and perspectives that would seem distant at first sight is part of the DNA of the festival. It’s even its signature. There’s nothing more coherent than to invite during the same edition figures such as Jaz Coleman, luminous guide of a certain musical culture over the last thirty years, to provide us with a superb « carte blanche », along with the unseen and memorable Spoken Word ; Stéphane Blanquet, one of the most talented graphic designer and illustrator of his generation, to grant us a short but dense film series he curated ; Frank Henenlotter, the uncontested master of American exploitation cinema, who attends the festival to reevaluate some of the gems he directed. Seven months ago, Andrzej Zulawski, one of our most indispensable filmmakers, left us suddenly. An emotional occasion to pay him a tribute when some of his most important films are being restored. Beyond the numerous and unmissable discoveries, as much in our competition as in the parallel sections, the film program « Freedom or death ! » offers a sharp look at some gems of a rebellious cinematic tradition. 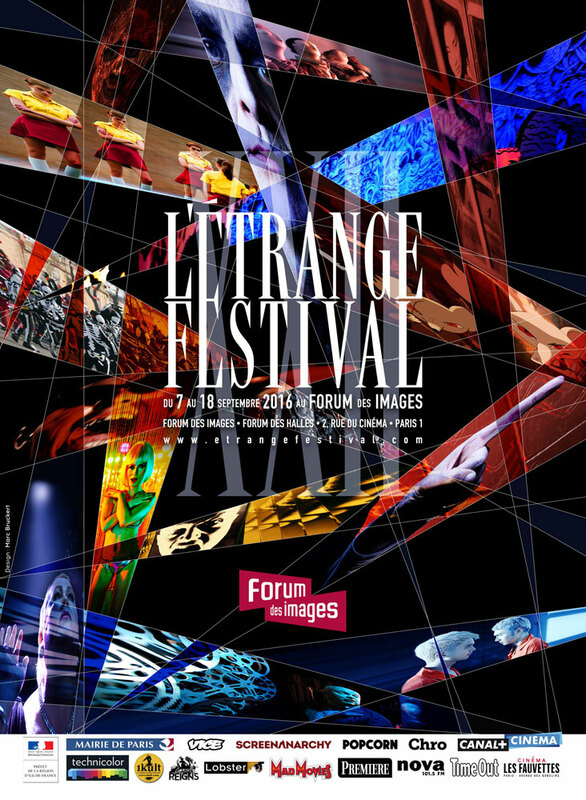 Japan has always held as a very important country at L’Étrange Festival. This year, we are pleased to screen seven of Shohei Imamura’s most beautiful films. Before frequently blowing up the Eiffel tower, Hollywood was scaring itself on its own ground. An hilarious « Retour de flamme » screening will prove it. Your unending thirst fosters us to expanding our territory. The theater Les Fauvettes welcomes us for a special series « Gaumont seen by L’Étrange Festival », 14 films that should urgently be rediscovered. Fans of spectacular concerts will be thrilled by the first Parisian show of the mythical and « slamming » Test Dept, before letting the mysterious Drahomira Song Orchestra taking over. As summer is ending, if you’re looking for fresh air and a way to fill your eyes and mind, the answer is right here, and just for you.